Humans have spent centuries modifying our world to fit our needs. It comes at a cost. Our actions directly affect the natural landscape, other species, and the global ecosystem that supports us all. No one person can fix the litany of issues humans have created in our environment, but collectively we can make a difference by instituting small changes. Businesses tend to have a large carbon footprint. That means your team has the potential to make a difference by changing everyday habits. Since April of 2018, TOKY has been participating in the Green Business Challenge, in which we strive to meet important benchmarks to operate more sustainably. 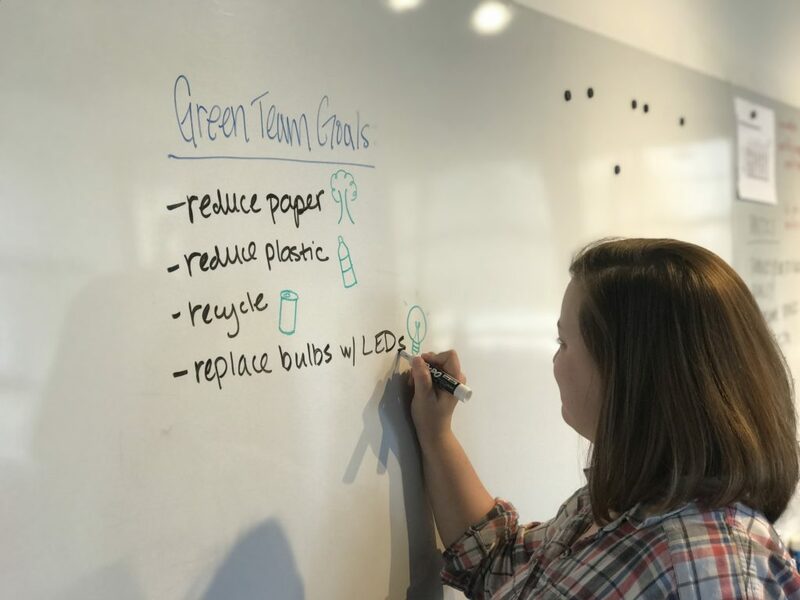 We’ve learned a lot, and we’d like to share that learning to help others make their offices more green. The best way to focus your team on changing everyday habits is to start with a small group that’s passionate about going greener. Assemble a few coworkers who have expressed interest in an office-wide green challenge and brainstorm ways to influence the larger team. The group should meet regularly (at a pace that works for your office) to assess progress toward stated goals. 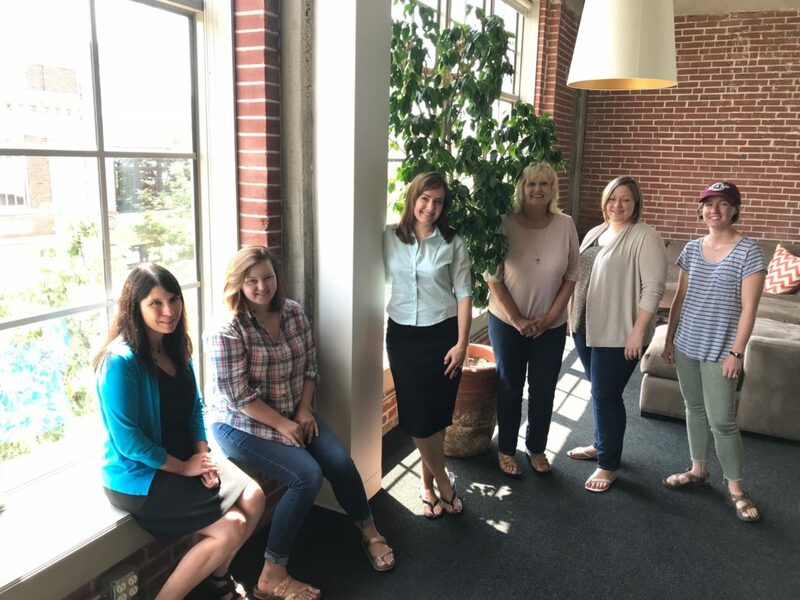 Liz Mohl, Associate Creative Director at TOKY (second from right), took a lead role on our green team. Our team meets once per month to assess our progress. Old habits die hard. Don’t try to eliminate or significantly cut use right off the bat; aim for a week-by-week reduction in use that will build over time. Before long, good habits will become permanent and make room for new ones. Identify items your team may over-use in order to best recommend changes. Determine how much paper your office is using on a weekly basis (your printer probably keeps that information stored). Is it possible to conduct some meetings without any paper presentation copies? Are there certain clients that would react favorably to the suggestion of digital-only presentations? Unless it’s totally necessary, challenge yourself not to hit print and to conduct the majority of your work via screen. TOKY shifted to holding our weekly production meetings on-screen only. While only saving a few sheets each week, annually this simple shift will save nearly 1,000 pieces of 11″x17″ paper. At current rate, by 2050 there will be more plastic than fish in the world’s oceans. From your morning coffee run to the water bottle you grab during a meeting to the to-go container from the deli, you’re probably using more plastic than you realize. Styrofoam containers are almost impossible to recycle. 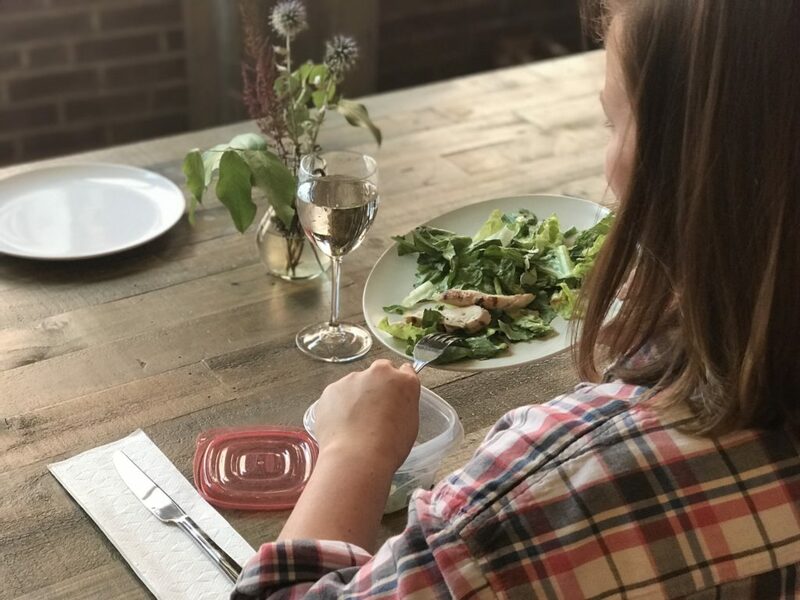 Several of TOKY’s team members regularly bring reusable containers to restaurants so they can pass on the restaurant’s disposable boxes. Most offices have computers and electronics running all day long. On a national scale, being more efficient can reduce our reliance on expensive fuel, lower greenhouse gases, and even reduce our electricity bills. Not every city recycles materials the same way or accepts all recyclable materials. In fact, one wrong item can send the whole batch to the landfill instead. In a single-stream system, for example, the recycling service processes all the materials without sorting, so it’s important to know what can’t go in the bin. Keep your team in the know on progress so they continue to feel committed to new habits. 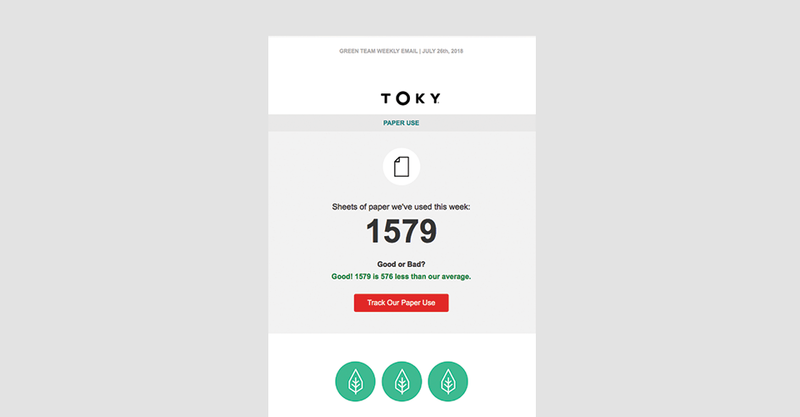 Send out a weekly or monthly email with your paper count and an article from the web with a new sustainability tip. You might even consider including feedback or ideas from a coworker to show enthusiasm. 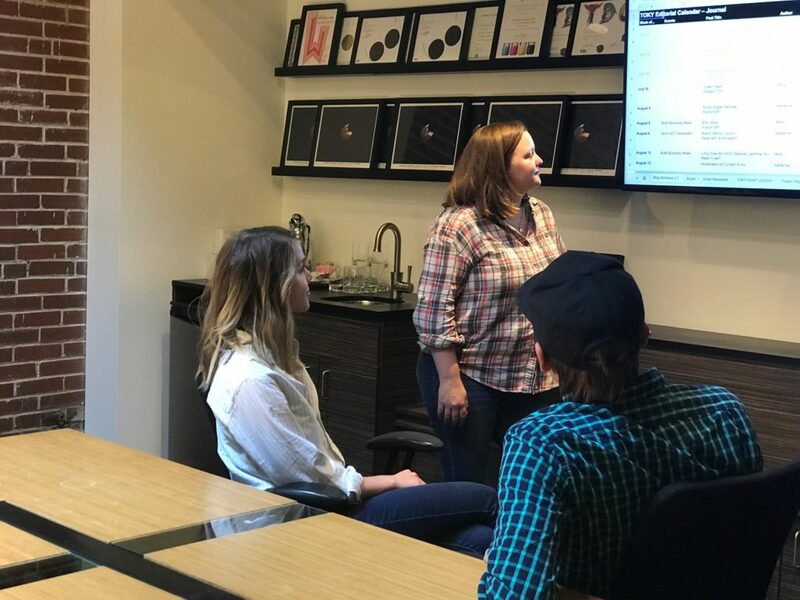 Our team gets a weekly email letting us know how much paper we used (and if we printed more or less than last week), an article, and a sustainability tip from a coworker. Read more about the St. Louis Green Business Challenge here.